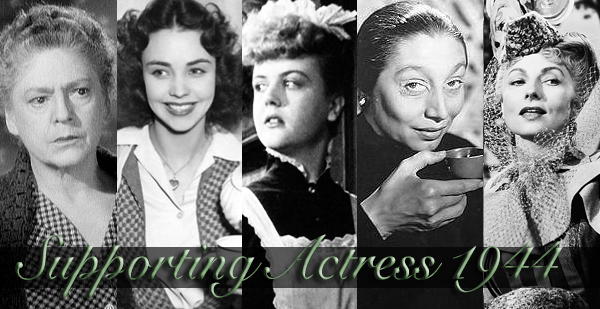 In two weeks, your humble blogger will join Molly Pope, Farran Nehme, Loren King, Mark Harris and host Nathaniel R of The Film Experience for a podcast smackdown pitting the Best Supporting Actress nominees of 1944 against each other! That was the year the great Ethel Barrymore took home the prize — but this exercise ignores who won, offering the panel a chance to relitigate that award. Check out the introductory post here, and feel free to vote on your own fave here. I tracked down and watched all five films, so it is possible!